The checklist is based on relevant literature and completed with collection data. Only relevant (New Guinea) synonym names are listed. Species of which it is not certain if they occur in Papua Indonesia are coloured grey. Evans, W.H, 1957. A revision of the Arhopala group of Oriental Lycaenidae (Lepidoptera: Rhopalocera). Bull. Brit. Mus. (Nat. Hist. ), London Entomology 5: 85- 141. pp., Kelompok Entomologi Papua, Jayapura. Parsons, M., 1999. The butterflies of Papua New Guinea. Their systematics and biology: 736 pp., Academic Press, London. Rawlins, A., S. Schröder & A. Cassidy, 2018. 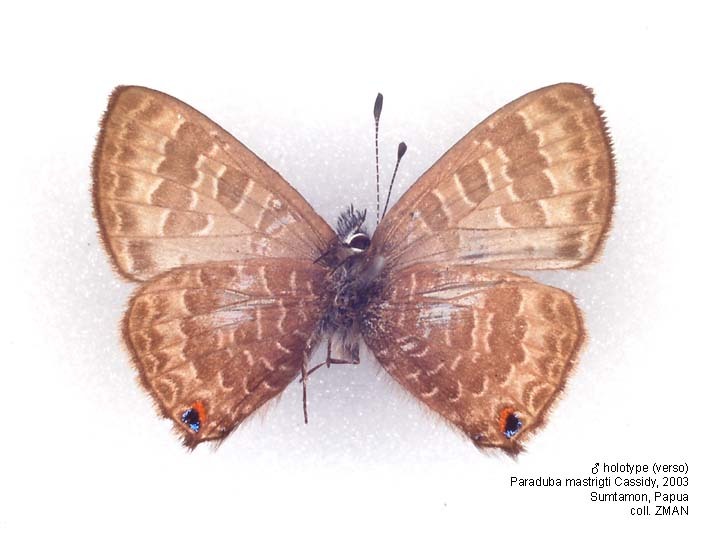 A new subspecies of Arhopala admete (Hewitson, 1863) from Sorong, West Papua, Indonesia and a brief review of the taxonomy of the Arhopala fulla species-group (sensu Evans, 1957) (Lepidoptera: Lycaenidae). Butterflies 77: 39-42. Sands, D.P.A., 1986. 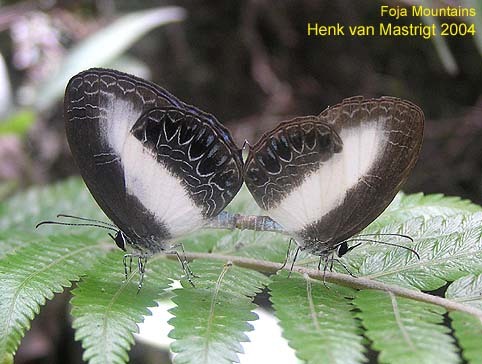 A revision of the genus Hypochrysops C. and R. Felder (Lepidoptera: Lycaenidae). Entomonograph 7: 1-116. Schröder, S., 2013. Notes on West Papuan (Indonesia) Hypochrysops C. & R. Felder, 1860 (Lepidoptera: Lycaenidae). Suara Serangga Papua (SUGAPA) 8(2): 41-47. Schröder, S., 2015. 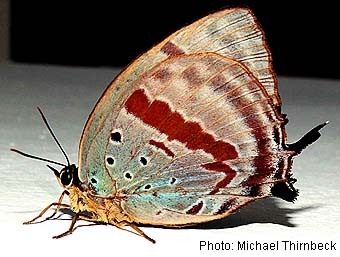 The Arhopala centaurus-group of Evans (1957) in Papua, Indonesia (Lepidoptera: Lycaenidae). Suara Serangga Papua (SUGAPA) 9(1): 1-22. Tennent, W.J., 2000. 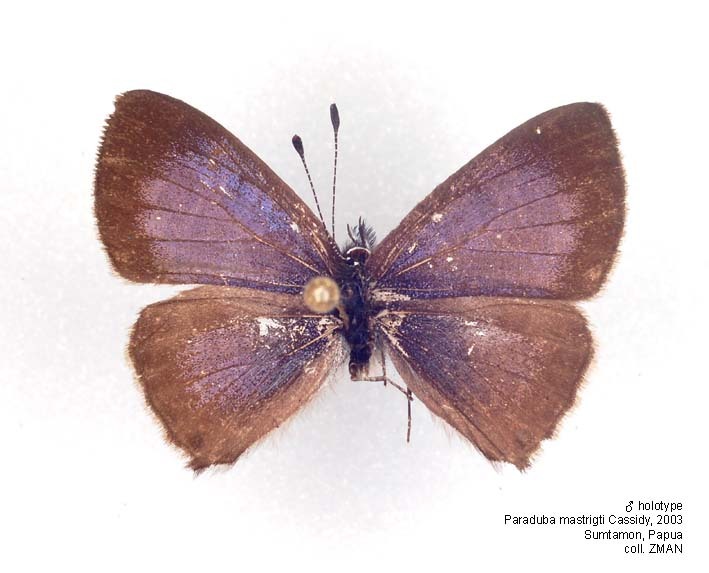 Notes on Deudorix Hewitson in the Solomon Islands, the Bismarck Archipelago and New Guinea, with descriptions of nine new taxa (Lepidoptera: Lycaenidae). Tennent, W.J., Chr. J. Müller & A. Rawlins, 2010. A new Deudorix from Irian Jaya (West Papua), Indonesia (Lepidoptera, Lycaenidae), with notes on Deudorix epirus Felder, 1860. Australian Entomologist 37(2): 33-43. Bethune-Baker, 1903, and A. azenia (Hewitson, ) (Lepidoptera: Lycaenidae). Nachrichten des Entomologische Vereins Apollo N.F. 31(1/2): 9-16. Tite, G.E., 1966. 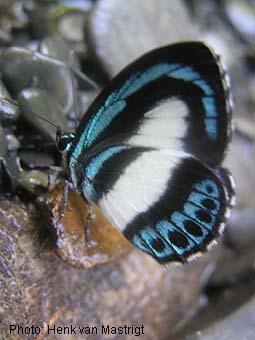 A revision of the genus Anthene from the Oriental region (Lepidoptera: Lycaenidae). – B.M.N.H., Entomology, Bulletin 18 (8): 253-275. Yagishita, A., Tennent, W.J. & Müller, C., 2013. A magnificent new Hypochrysops Felder & Felder, 1860, from Yapen Island, Indonesia (Lepidoptera, Lycaenidae). Butterflies 64: 50-53.